Information in Thailand; Thai language, Thai food, Thai culture and places. Let’s continue coconut oil benefit from oil pulling. Below information is from Koconae’s handout and the original reference from Oil Pulling Therapy DrBruce Fife. fungi and protozoa love to stay. The majority of illness and disease that plague the human race and this is through the mouth that all disease gets its start. Follow this procedure at least once a day. If you have an active infection in your mouth or other serious health problem, you can pull two, three or more time a day to speed the healing process. As your body detoxifies, you may encounter any number of cleansing symptoms such as sinus discharge, nausea, vomiting, diarrhea, skin outbreaks fever, etc. Existing health problems such as joint pain, psoriasis, insomnia, and such may intensify for a time. Cleansing reactions normally only last a few days. Let the body complete the cleansing process without interruption. Continue oil pulling and avoid taking medication to treat the symptoms. Herbs and vitamins are generally fine. For optimal health benefit, take 1-3 tablespoons of Virgin Coconut Oil daily as part of your normal dietary supplement. Because of coconut oil’s antimicrobial effects, its ability to enhance the healing of injuries, and its many other health-promoting properties. Substituting coconut oil for other vegetable oils in your diet will help promote weight loss. Coconut oil is very heat-stable and does not form free radicals like other vegetable oils. Keeping your skin smooth and ageless, apply on your skin not only softens the skin but also protects it against damage, promotes healing and prevent the skin from developing liver spots and other blemishes caused by aging and overexposure to sunlight. If you have visited Thailand, have you ever wonder why you often see department stores, beauty shops, floating markets or local markets in Thailand selling coconut oil? Is it popular? Or is it merely a trend? Coconut, tremendously beneficial plant, has been used for cooking in Thai kitchen and for other purposes for a long time. Ten years ago, more benefit of coconut has been studied and promoted especially coconut oil. This helps Thai people to pay attention and to use it more in everyday life. 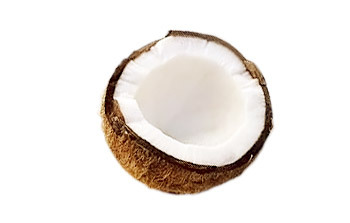 Therefore, the more demand of coconut oil usage the more supply is generated. Today, people learn that coconut oil is very beneficial to their health from head to toe, also from external to internal body health. B. Skin Treatment (moisturizing, preventing premature aging, skin infection solution or skin cleansing) Also improves or heals Many Skin Diseases: Fungal Infections, Acne, Eczema, Keratosis. As we know a lot of benefits from coconut oil above, it is time to turn back to use natural products and reduce using chemical products for your heath benefits! RelishThai’s Store is now opened!